Today, Mallory from Because I Like Chocolate is here with a recipe for all of you. Now that it's November I'm hurtling head first into all things holiday. There's no better cookie for this time of year than ginger cookies. But in my mind, traditional ginger cookies have one thing missing; chocolate. 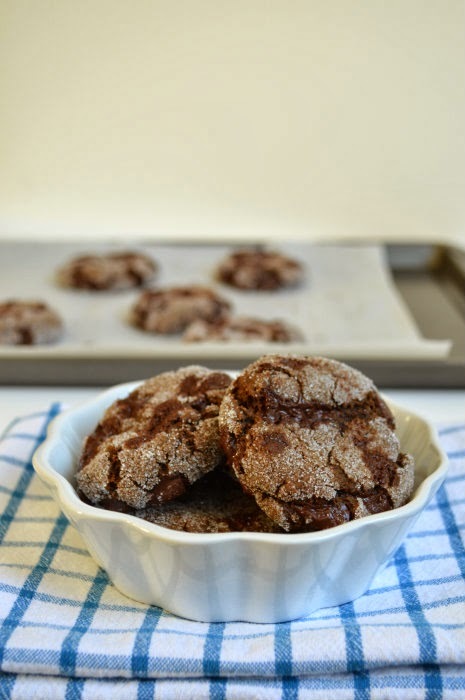 Stir some chocolate chips into a soft, chewy ginger cookie and you have yourself a winner. 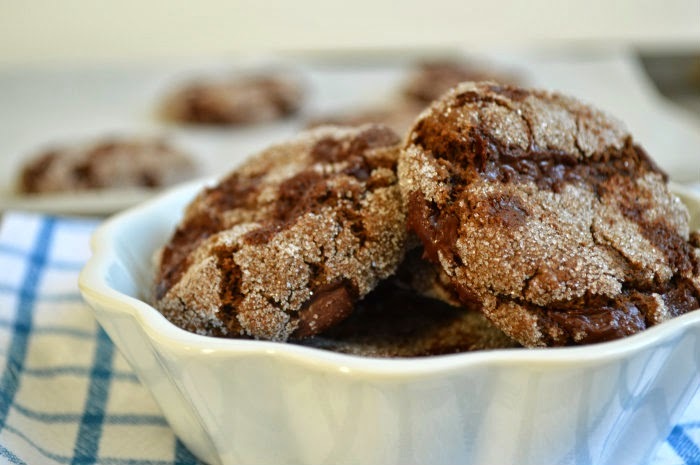 Chocolate and ginger are one of those pairings that just works. In fact, why don't all ginger cookies have chocolate in them? I know one thing, from this point on, all the ones I make are going to! 1. Heat your oven to 350. Line 2 cookie sheets with parchment paper. 2. Mix together the brown sugar, flax egg, pumpkin puree and canola oil to form a smooth paste. 3. 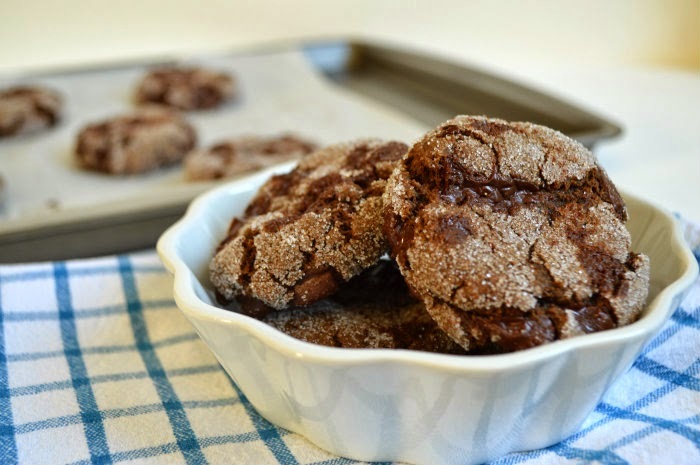 In a separate bowl, stir together the flour, cocoa powder, baking soda, cinnamon, ginger, cloves, salt and chocolate chips. Once mixed, add these dry ingredients to the brown sugar mixture, stirring just to combine. 4. Portion the dough into 3/4" to 1" balls. Roll them each in the 1/4 cup of white sugar until completely coated. 5. Place them on the baking sheets, 9 per tray. Press down lightly with the palms of your hands to flatten the cookies. 6. Bake at 350 for 10-12 minutes. Cool and enjoy. 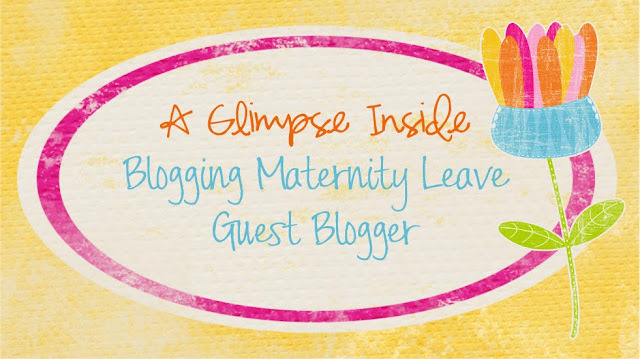 Thanks for guest posting for me Mallory!